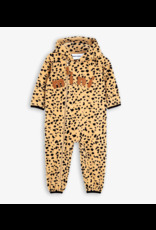 Beige fleece onesie in 100 % recycled polyester with a black spot pattern and the word “mini” in faux leather letters over the chest with matching zip slider. 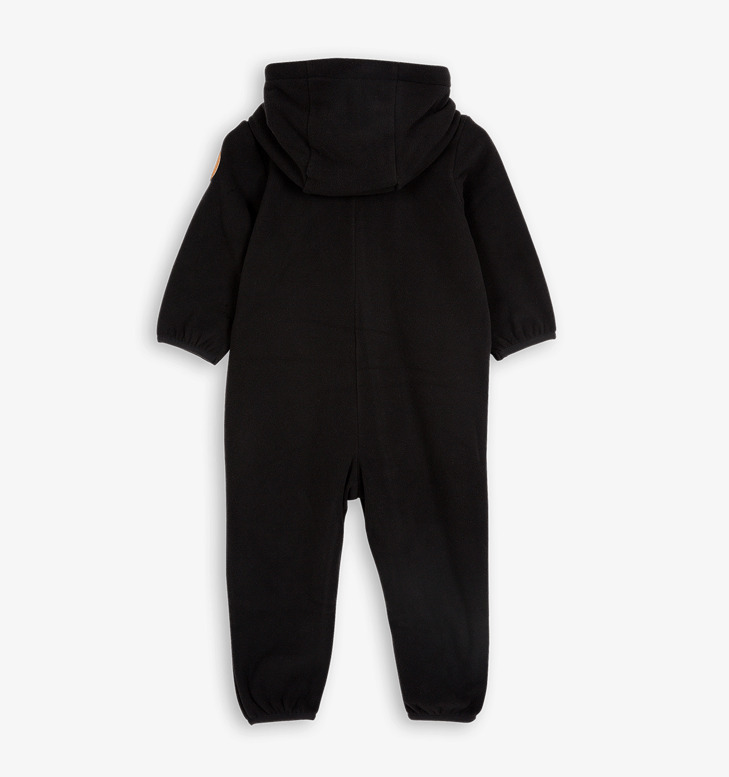 The onesie has a hood with two seams, zip from neck to leg ending for easy dressing and thin elastics at sleeve and leg endings. 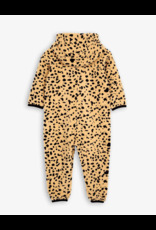 This soft onesie can be used all year around – either separately or as a base layer when it gets colder. 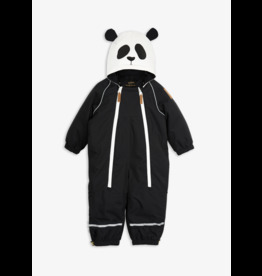 Black fleece onesie in 100 % recycled polyester with the word “mini” in faux leather letters over the chest and matching zip slider. 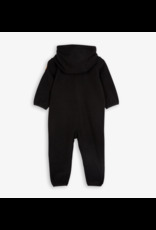 The onesie has a hood with two seams, zip from neck to leg ending for easy dressing and thin elastics at sleeve and leg endings. 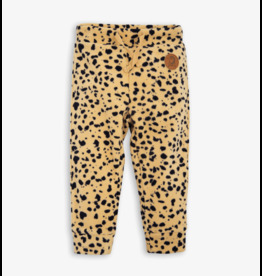 This soft onesie can be used all year around – either separately or as a base layer when it gets colder. This model is a returning Mini Rodini classic. • 100 % recycled polyester • Made in China We have chosen to include fleece products made of 100 % recycled polyester in our range of products since the material is appreciated, practical and easy to take care of. By using 100 % recycled polyester, there is no need to create any new materials from scratch. However, when you wash synthetic fleece, made from recycled materials or not, tiny microplastics are released that might be transferred into nature. Our advice is to wash fleece sparingly, or even better – not at all. Air dry your garment and remove smaller stains with a moist cloth. 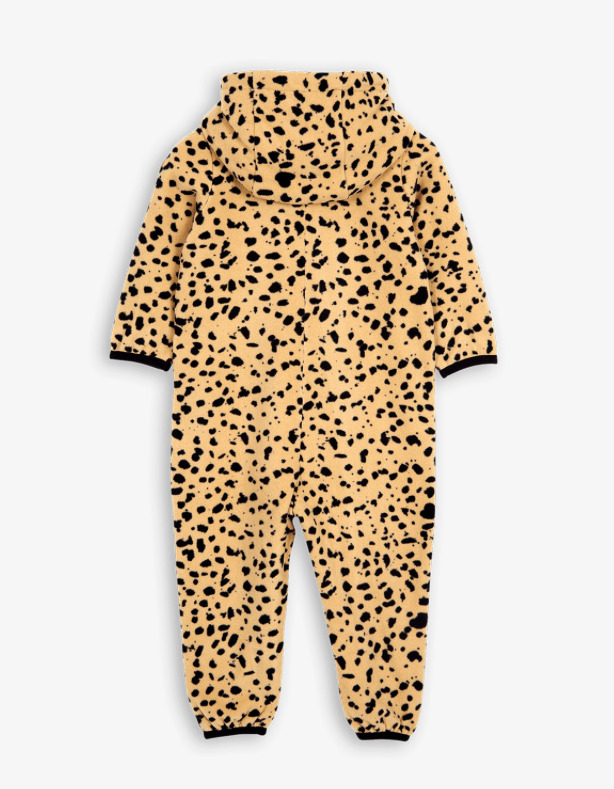 If the whole garment needs to be washed, follow the care label instructions and remember to: • Iron the garment – ironing lays the fleece fibers down flat which lessens the release of microplastics • Clean the washing machine filter regularly • Hang dry instead of tumble dry The recycled material used to make this onesie is GRS certified which ensures that the fabric consists of recycled materials made from, for example, PET soda bottles, discarded fishnets and used clothes. GRS is the strictest certification for recycled material on the market today and includes rigid controls of especially chemical use and tracking, but also working conditions. 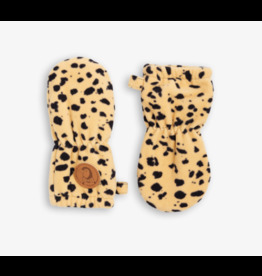 Soft baby mittens in black fleece made of 100 % recycled polyester. 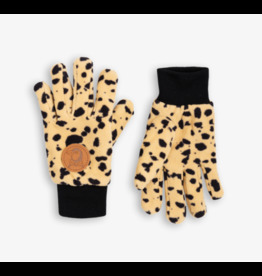 The mittens have elastic around the wrist that keeps the glove in place and a faux leather penguin patch on each hand. 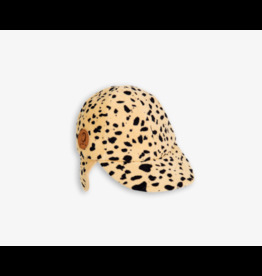 This is a new item in Mini Rodini’s line of products. Soft fleece gloves in black made of 100 % recycled polyester. The gloves have rib cuffs and a faux leather penguin patch on each hand. 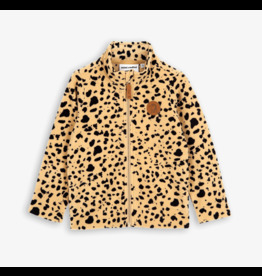 This is a returning Mini Rodini classic.